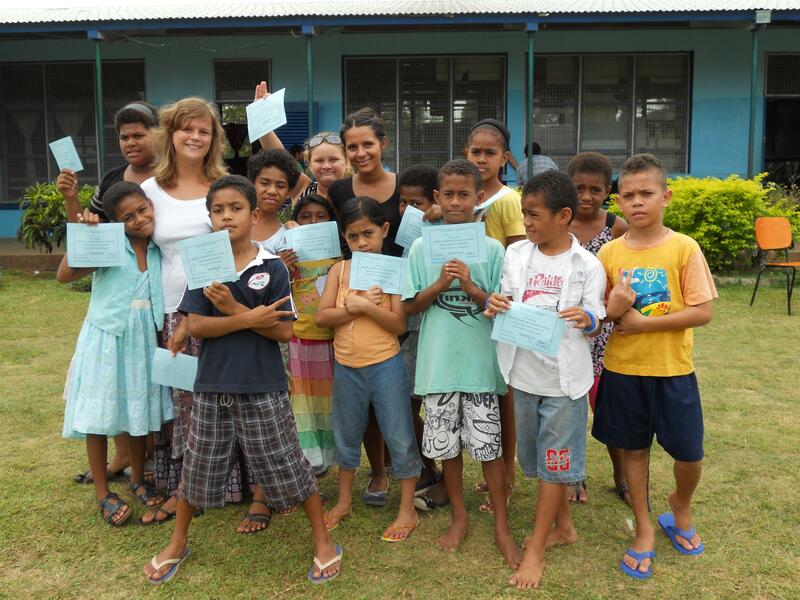 Volunteer as a teacher in Fiji and work with children in rural areas on the outskirts of Nadi. You’ll focus on teaching English and supporting the work of local teachers. This is a great way to get practical teaching work experience in Fiji while helping children at the same time. It will add value to your CV, and could help your future career. 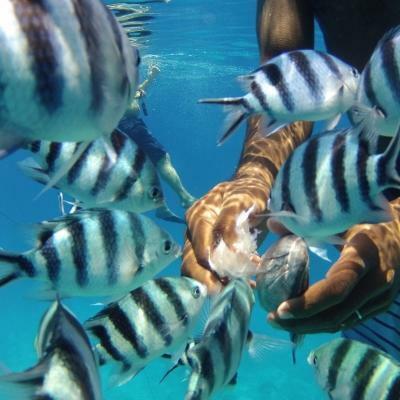 Tourism is a driving force for Fiji’s economy. To access better employment opportunities, it’s important to speak English and be confident communicating with visitors. This is why we need your help in classrooms in Fiji. Your main role is to teach English, and encourage your students to practice speaking with you as much as possible. You will be based in one of two bustling cities on Fiji’s west coast and live with a local host family. This will be your home away from home and you’ll learn all about Fijian hospitality, culture, and traditions. Is volunteering as an English teacher in Fiji right for me? 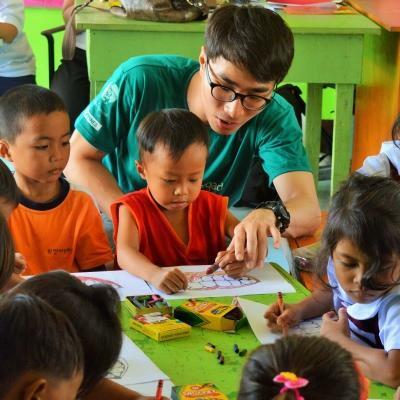 This project is open to anyone who is passionate about education and helping disadvantaged children. You’ll get hands-on experience in the classroom, which is perfect if you’re planning on becoming a teacher. Even if you’re not pursuing a career in education, you’ll learn skills that you can apply to any career. These skills include organisation, leadership, and adaptability. Even if you have no experience but are still interested in teaching in Fiji, sign up! You’ll receive a full induction from your project supervisor and you won’t be left in the dark when you start teaching. Our staff are on hand to give you advice when needed, and we run regular workshops for all Teaching volunteers. You can also take a look at our extensive online database for ideas. In addition to teaching English, you can also teach other subjects. If you’re interested, let us know. Our Teaching Project in Fiji runs year round and you can join at any time. You will need to spend at least two weeks on the project, but there is no limit beyond that. The more time you spend on the project, the more impact your work will have. 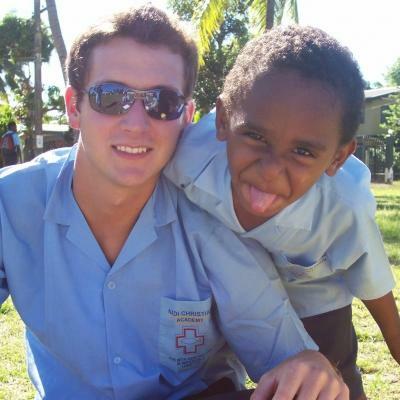 What will I do at my volunteer Teaching Placement in Fiji? If you’d like to teach additional subjects, your help will be more than welcome. In these classes, you’d support the local teacher, who will lead the class. Depending on what your interests are, you could help teach subjects such as maths or science. Alternatively, you can choose to focus on the Physical Education, Music and Arts & Crafts (PEMAC) programme instead. This is something that is run in all schools in Fiji, so you can teach primary or high school students. These extra classes are a huge benefit to the kids, and give them a safe space to be creative and active after school. Sports such as rugby and football are particularly popular among the children. However, if you lean more toward the creative side of things, you could do arts and crafts, music lessons, dance, or drama. While you’re in Fiji to teach, it’s also a great opportunity to learn. As part of our teaching volunteer project in Fiji, we run weekly workshops for all our volunteers. Here you can learn more about Fiji’s education system and expand your own skill set. You will also get to exchange ideas with fellow volunteers and Projects Abroad staff members. You will also receive advice and suggestions regarding lesson planning, classroom management, and activities to carry out at your teaching placement. Where will I be working in Fiji? You will be based on Viti Levu, Fiji’s main island. While Viti Levu is the largest island in the archipelago, Fiji actually consists of more than 330 islands, of which 110 are permanently inhabited. You’ll work in one of two cities, Lautoka or Nadi. You’ll work at a public school in one of the smaller towns surrounding these cities and teach children between the ages of 6 and 12. Keep in mind that many of these schools cater to a large area, so classes tend to be quite big. Nadi is the third largest city in Fiji and located about 24km from Lautoka. It’s a multicultural city, with lots of different population groups. It’s also a popular stop for tourists to the island. Lautoka is the second largest city in Fiji, located on the western side of Viti Levu. Lying in the heart of Fiji's sugar cane growing region, it is known as the Sugar City. When you arrive at your respective airport, a member of Projects Abroad staff will be there to meet you. You can find more detailed information on arrival airports, orientation, and visas on our Fiji Arrival Procedures page. 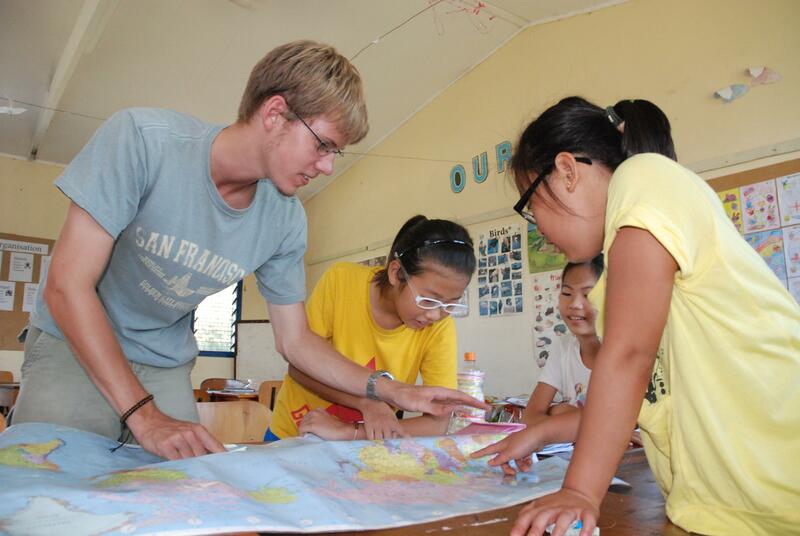 What will my typical day be like as a volunteer teacher in Fiji? A typical day at your volunteer teaching placement in Fiji will run from about 7:30am to 5pm, coinciding with school and extracurricular hours. You will be working closely with local teachers, focusing on English, literacy, and numeracy. You might start the day off by helping a local teacher out with maths lessons, followed by your first conversation class for the day. The students will have half an hour’s break mid-morning, during which you can get ready for the rest of your day’s lessons. School normally finishes around 1:30pm. If your placement is close to where your host family lives, you can head home for lunch. Alternatively, you will enjoy a packed lunch at school. End the day off by presenting an hour or two of extracurricular activities of your choice. These could include sports, arts, crafts, or music. During the hours you aren’t working, you’ll have ample free time to explore with your fellow volunteers. The aim of this project is to raise English levels in schools and give teachers more support in the classroom. According to the government, over 25% of Fiji’s population lives below the poverty line. Access to better quality education helps people have more employment opportunities. Unfortunately, this is not always available to everyone in Fiji. When you join our volunteer teaching programme in Fiji, you help us minimise the gap between those who have access to education and those who don’t. Join us as a volunteer English teacher in Fiji and help us achieve these long-term goals. For my required Education Internship, I wanted to go abroad to a fascinating country with a unique culture. With a little research, I came across Projects Abroad and their placement in Fiji. The staff were incredibly friendly and quick to respond to my needs required for academic credit. Overall, the Projects Abroad Fiji experience changed my life. 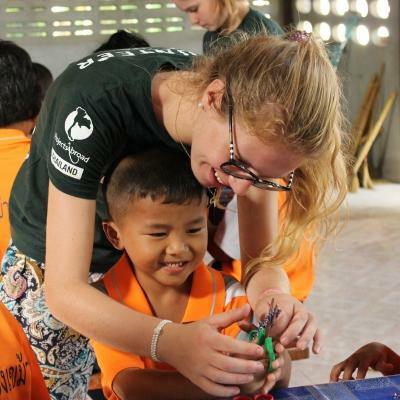 It offers so many things for the volunteer; you learn from the students, you learn from the other volunteers who are from all walks of life, you learn from your host family, you can learn a new language, you teach others about yourself and most importantly, you learn a ton about yourself by living with and helping others. You'll stay with a host family in Nadi. They will welcome you into their home, eager to share their customs and have you teach them about your own culture. We believe that this is the best way to immerse yourself in the culture of Fiji and have a truly unique experience. 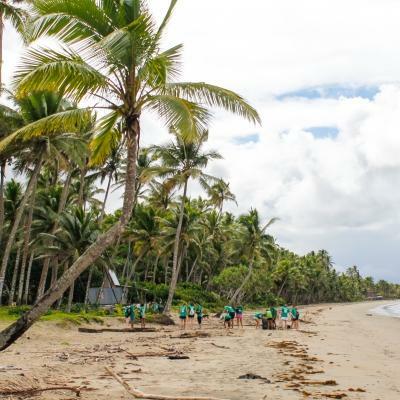 Experience the beauty of the South Pacific while volunteering with us in Fiji. This tropical island country has plenty of activities and must-see sights for you to enjoy in your free time. We can’t talk about Fiji without mentioning the beaches. With their soft, white sand and clear, blue seas, they are the ideal place to relax and wind down after a day of volunteer work. With the beaches come a bunch of other exciting activities, like water sports and snorkelling. For a culture-rich experience, you can explore the bright, rainbow-coloured Sri Siva Subramaniya Temple. You can also spend time wandering through art galleries or browsing through stunning handmade pottery in Nadi. The Kula Eco Park gives you the opportunity to see local plants and animals. For thrill seekers, they also have a zipline going through the park! You can explore all these different sights on your own or with a group. With so many volunteers joining us in Fiji each year, you’re bound to make some new friends to travel with. 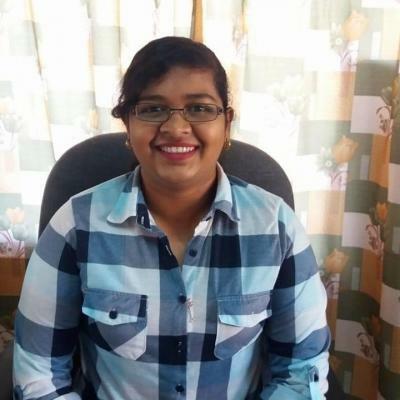 Karishma was born and raised in Nadi and went on to complete her degree in marine studies from the University of South Pacific in Suva. 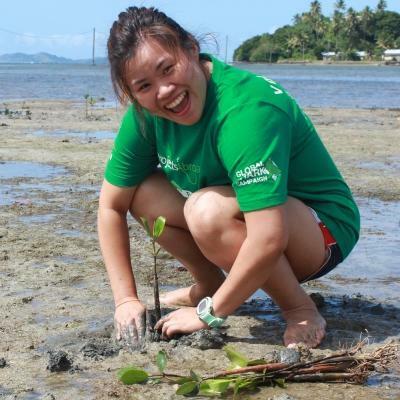 After her studies, Karishma volunteered for two years with various NGOs in Suva before joining Projects Abroad in 2011. Since then, she has also completed a master’s degree in business administration. In her spare time, she enjoys reading and spending time with her family. Ravneet was born and raised in Ba and later moved to Suva to complete his university studies. He graduated with Bachelor of Commerce in Economics and Public Admin & Management at the University of the South Pacific. His goal at Projects Abroad Fiji is to make sure our project partners benefit from having volunteers and that volunteers enjoy the experience. He enjoys reading, singing, socialising, and travelling. Lily worked for Projects Abroad in Fiji during the summer of 2011 before taking up the role full time in August 2012. 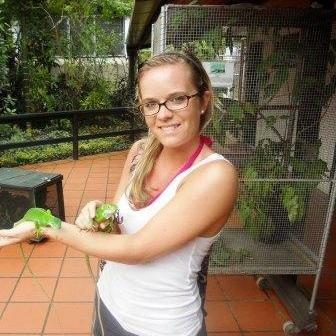 She looks after the Animal Care Projects in Nadi, designs the 2 Week Special programme and customises projects for special groups. She is also responsible for making sure volunteer de-briefing forms are completed and works closely with volunteers. Lily loves to socialise and therefore enjoys the company of others. Reshika joined Projects Abroad in August 2016. She was born and raised in Nadi. She has a background in business management studies and is currently studying a Bachelor’s Degree in Human Resources Management & Industrial Relations and Business Management. She loves to socialise and enjoys listening to music in her spare time. Makereta joined Projects Abroad in February 2013. She has a background in office administration and human resource management. She was born and raised in Suva, Fiji and loves meeting new people and learning about new cultures and lifestyles. Makereta enjoys gardening and baking and has to two daughters whom she loves very much. Kristian is originally from Wales and is a passionate conservationist. He has a Master's degree in Environmental Biology and Bachelor's degree in Marine Biology. Whilst working on a marine conservation project in Cambodia for seven months, he became a divemaster. Following that he moved to Fiji to manage a marine conservation project for two years, in the process taking time out to become a dive instructor. Kristian joined Projects Abroad in March 2015 and enjoys every aspect of his work on the Shark Conservation project.